There are 66 books in the Bible and lots of things to learn. Copy the missing words and colour the pictures. You'll learn about God and his Word. 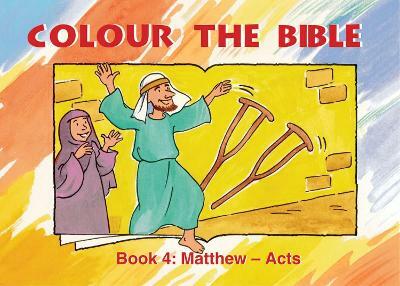 Extra verses are included which teach about what the Bible does and who Jesus is. You will also discover about Matthew, Mark, Luke, John and Acts.